To be hungry to be thirsty To be ______ years old. 9 1. You (familiar) are cold. 2. The dog is warm. 3. The students are sleepy. 4. I am 13 years old. 5. Yall are hungry. 6. We are thirsty. 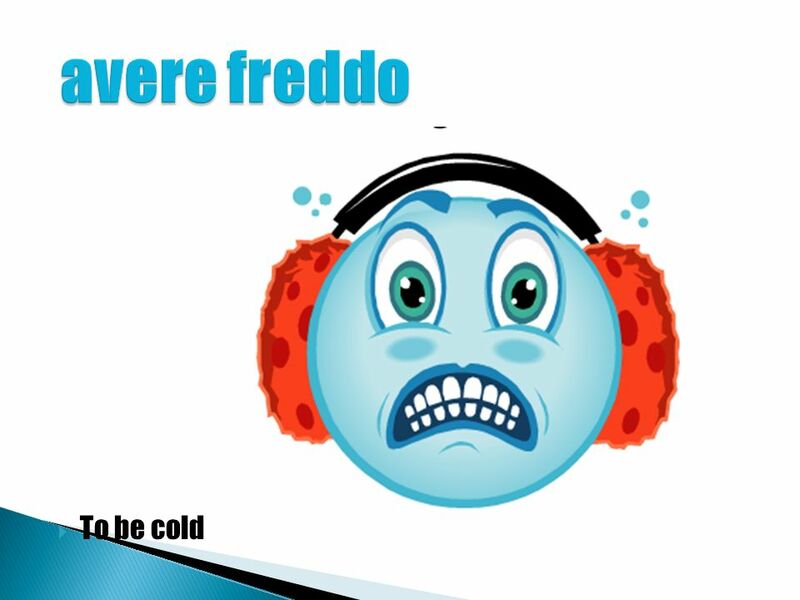 Tu hai freddo. Il cane ha caldo. Gli studenti hanno sonno. Io ho tredici anni. 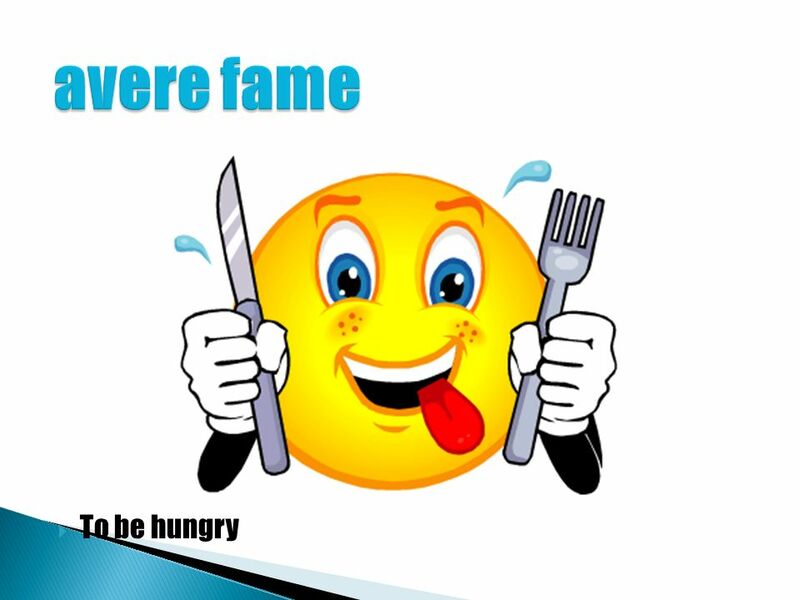 Voi avete fame. Noi abbiamo sete. 10 1. We are cold. 2. I am hot. 3. My mom is hungry. 4. They are thirsty. 5. Marga is 10 years old. 6. Are you(familiar) sleepy? Noi abbiamo freddo. Io ho caldo. Mia madre ha fame. 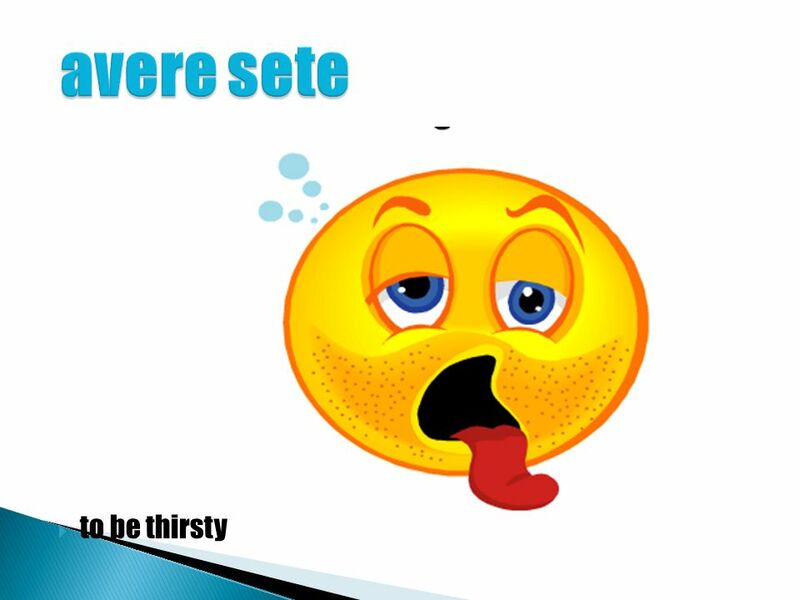 Loro hanno sete. Marga ha dieci anni. 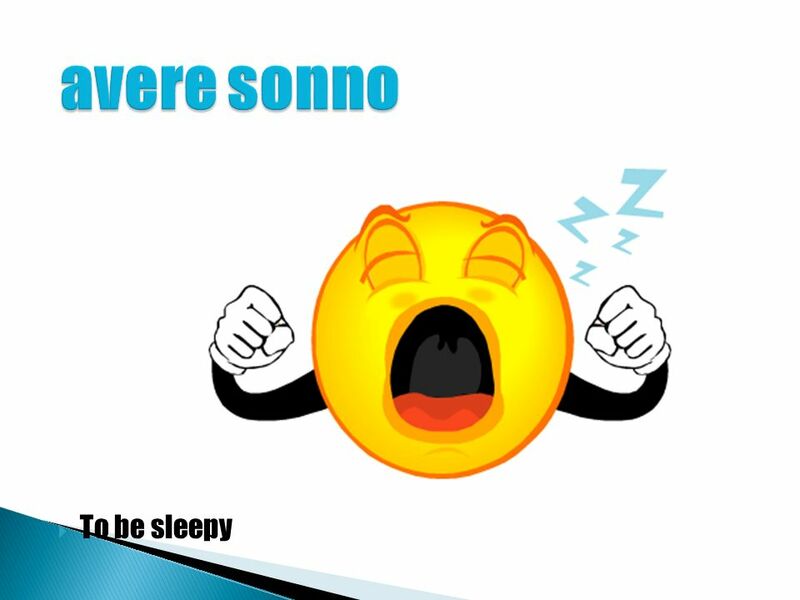 Avete sonno? Download ppt "To be hungry to be thirsty To be ______ years old." Unit 9 It's warm 清丰县第一实验小学 唐利娟. Capitolo 2 Persone e personalita`. Preparazione Ci pensiamo un po`: How might you describe the appearance and personality of a friend? Il presente l.o to recognise that a verb conjugates with 6 endings. Lezione Uno Conversazione basica. Hello and goodbye: Ciao-hi Salve-hello (formal) Buon giorno- good morning Buon pomeriggio-good afternoon Buona sera-good. La scuolaLa famiglia Verbi - ARE Verbi irreg –ARE PossessiviQuesto/ quello $100 $200 $300 $400 $500 $100 $200 $300 $400 $500 $100 $200 $300 $400 $500 $100. Punto di partenza In Italian, as in English, a verb is a word denoting an action or a state of being. The subject of a verb is the person or thing that. 7.4 © and ® 2011 Vista Higher Learning, Inc Conoscere and sapere Conoscere and sapere both mean to know, but they are used in different contexts. Punto di partenza In Lezione 5A, you learned that a direct object answers the question what? or whom? An indirect object identifies to whom or for whom. 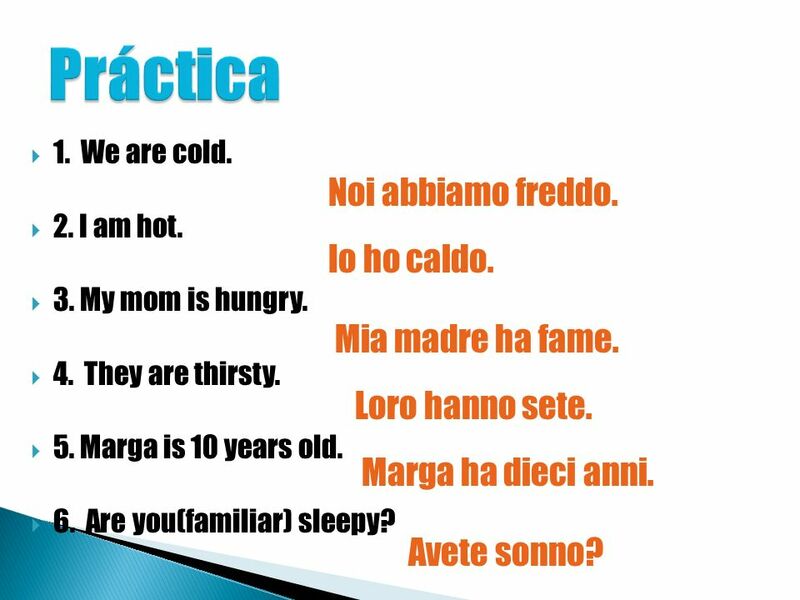 © and ® 2011 Vista Higher Learning, Inc.3A.3-1 Punto di partenza You are already familiar with Italian verbs that end in -are and -ere. The third class. 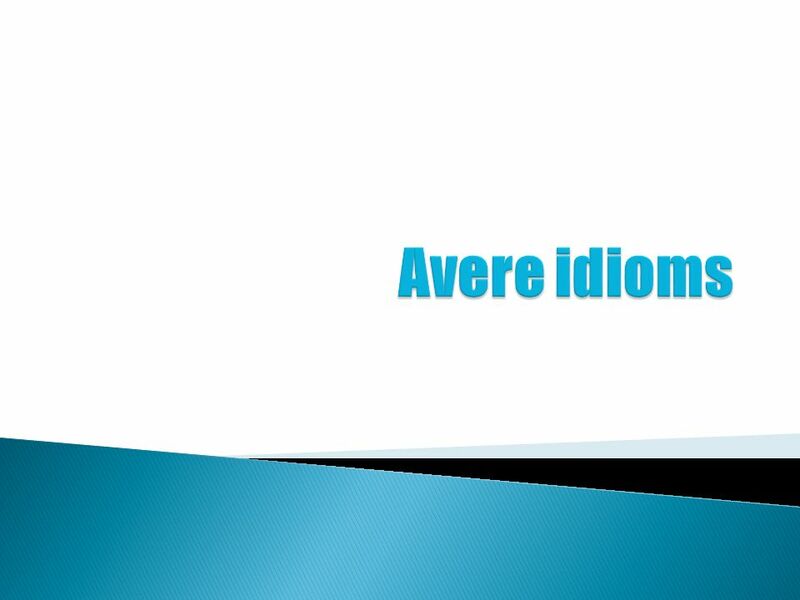 Punto di partenza Avere (To have) is an important and frequently used verb in Italian. 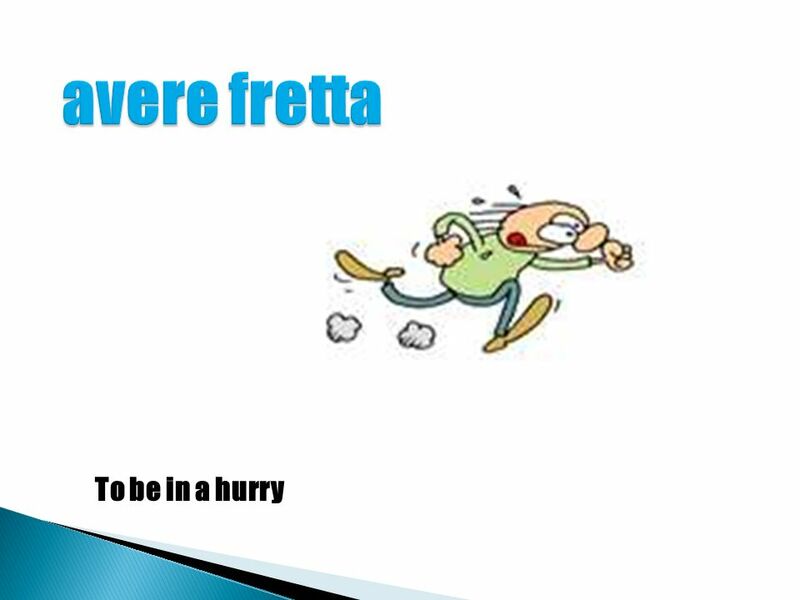 Because it is an irregular verb, you will need to memorize its present. 4A Unit9 (B&C) Whats the matter? Enjoy a song. Uno- OneSei- Six Due- TwoSette- Seven Tre- ThreeOtto- Eight Quattro- FourNove- Nine Cinque- FiveDieci- Ten Italian Numbers. 1 Jeopardy AggettiviEspressioni Interrogativi Avere Espressioni Con Avere Come Si Dice Q $100 Q $200 Q $300 Q $400 Q $500 Q $100 Q $200 Q $300 Q $400 Q.
Passato Prossimo Oscar Svan 10B. When is it used? 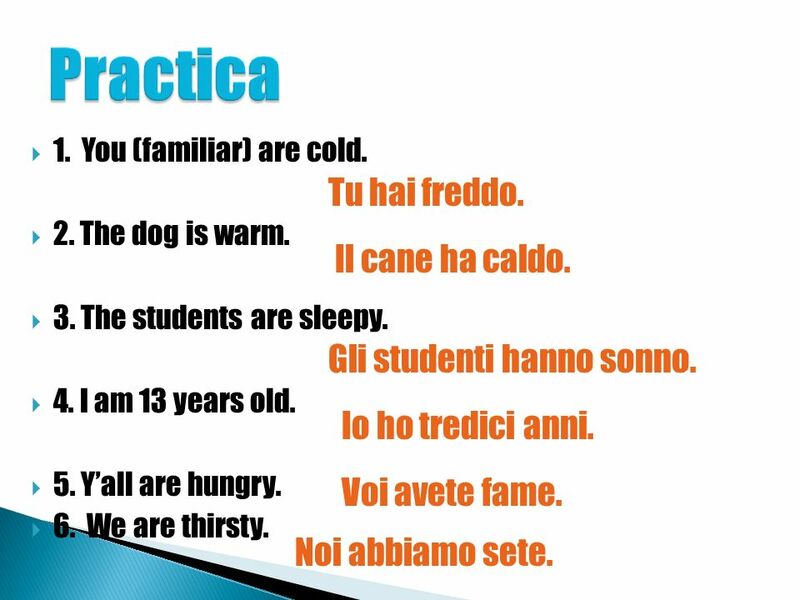 Passato Prosisimo (Past Tense) narrates specific actions or events that occurred in the past, at a definite. 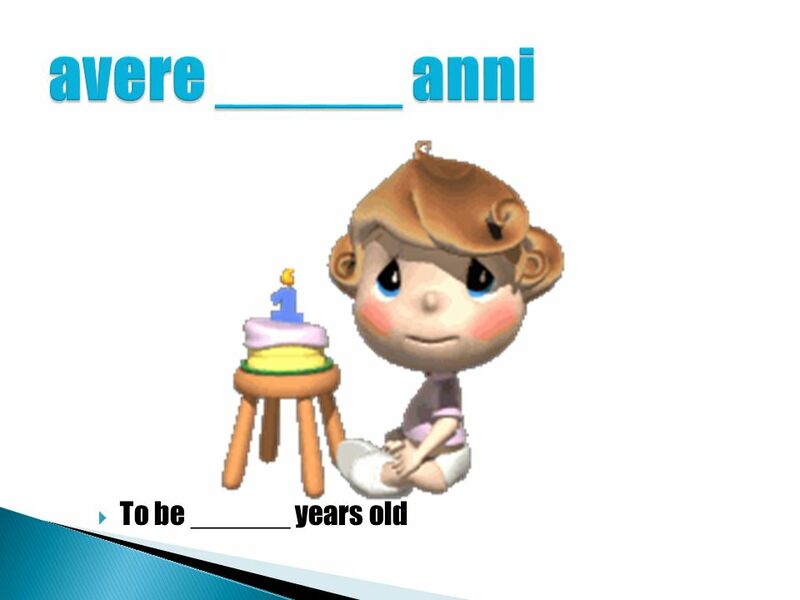 Tener phrases Use of tener in a phrase that in English uses to be.